F1 in Schools is an international STEM (science, technology, engineering, mathematics) competition for school children. Groups of 3–6 students are required to design and manufacture a miniature ‘car’ out of the official F1 Model Block using computer-aided design tools. The project is highly integrated, involving aspects of project management, engineering, design, marketing, finance and trade display. At the end of the project, students present their car to various judging panels, many of whom are involved in industry. Our Year 8 ‘Blue Tongue Racing’ team, consisting of Chris Field, Charlie Catt, Max Kortge, Andrew Penca and Hamish Roberts, were competing in Development Class for the first time. The teams presented their project to a high level in all aspects of the competition, culminating in a 2nd overall finish in Victoria. This is an amazing achievement by all members of the team! Chris also managed excellent reaction times during racing, which crowned Blue Tongue Racing as Knockout Race Champions for 2017 in Development Class. 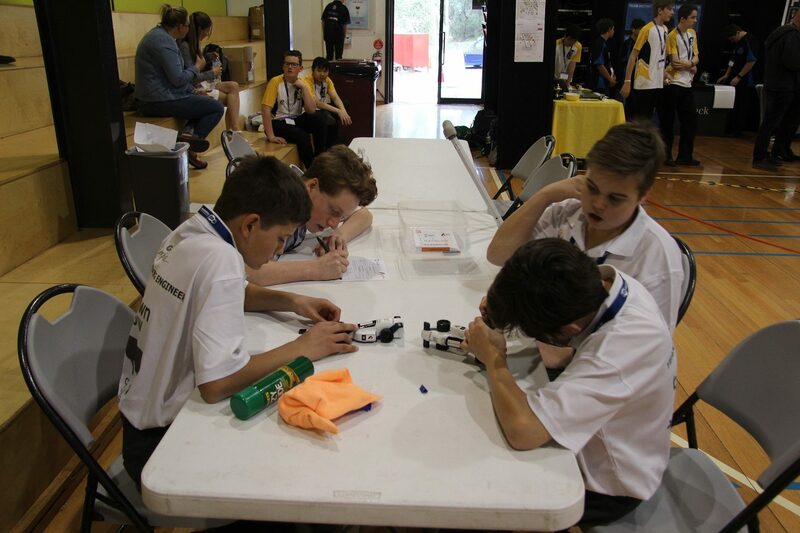 Having had some prior experience, Liam Konidaris, Mitz Metaxas, Joel Tyler, Billy Pearson and Maxim Christodoulou of Year 9 returned to the F1 in Schools state finals, stepping up to Professional Class. The team, known as ‘Project Gamma’ also presented their project to a high standard, but were unlucky in missing out on a place at the final standings. These boys displayed passion and commitment throughout the year, and managed to finish 3rd in the Professional Junior class. Both trade displays and some photos of the event will be up in the coming weeks.